You can also link to the conference hotels for reserving rooms under our group block. The Hilton Bayfront is for researchers and the Hampton Inn and Suites is for our student researcher accommodations. Abstract submission has also opened and will be open until March 15th! CIAC 2018 Website is live! The conference website for the CIAC 2018 meeting in St. Petersburg, FL is live and can be found here: https://www.ciac2018.com/. Registration will open on January 8th! Costs and further details can be found on the site. Workshop descriptions, travel info, and field trips are already outlined on the page, so go check those out, but also keep an eye on the page for further conference news and updates! Please also help the effort by adding references to the group! Adolf Naef’s Wikipedia Page – New and Improved! Danna Staaf has put substantial time and effort into researching the life and work of Adolf Naef and has revised his Wikipedia page, making it much more robust: https://en.wikipedia.org/wiki/Adolf_Naef. Please head over to the page and learn about Naef’s foundational contributions to cephalopod systematics and embryology. A huge thank you to Danna for her work. If you do not know Danna’s writing, she is an active science writer with her own blog: http://www.cephalopodiatrist.com/p/home.html. Danna’s new book, Squid Empire, comes out Oct. 3! http://amzn.to/2jWkLQe. We are looking for more help to continue improving the records of cephalopod scientists on Wikipedia, making that information more accessible both to us and to the public. If you are interested in contributing, please contact the web team. Videos of presentations made at the 2017 CephsInAction/CIAC joint meeting in Heraklion, Greece have been uploaded, thanks to work by Fedor Lischenko and colleagues, to the Curious CEPH YouTube channel. So please head over there and check out all of the amazing and cutting edge discussions of cephalopod science on display! The following article was originally written by Ian Gleadall for the CIAC newsletter, but was never published. Ian has generously provided the article to us to be posted here. 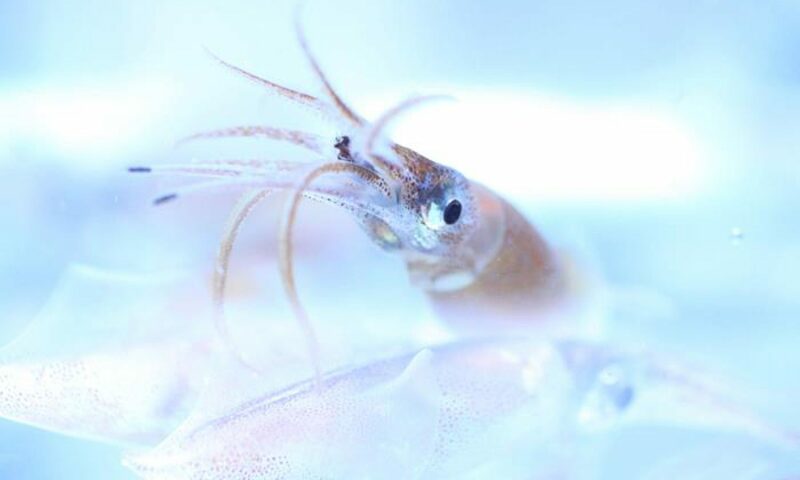 It describes a reunion to celebrate Kyoji Tasaki that took place in 2014, and the contributions that he and several of his colleagues attending this dinner made to our current understanding of cephalopod vision. Recently, Yasuo Tsukahara arranged a small dinner party to celebrate the 90th birthday of Kyoji Tasaki, former Head of the 2nd Department of Physiology in the pure research wing of the Medical School at Tohoku University in Sendai. This group of people has not met together for many years and Yasuo reasoned that it would be better and happier to meet now rather than waiting around to meet at the funeral of the first one to succumb to Old Father Time. On the 12th of July of this year, then, the group met together at a restaurant in downtown Sendai. The author of this account (Ian Gleadall) was also invited, as a former post-doc. who worked briefly in the 2nd Dept. of Physiology just before Kyoji Tasaki retired. The attendees included a number of former students and friends of Kyoji Tasaki, but among this group were 3 people (Tasaki himself, Hitoshi Suzuki and Yasuo Tsukahara) who have made significant contributions to the vision physiology of cephalopods, hence the playful paraphrasing of the well-known science fiction title “I, Robot.” This article provides a brief account of these researchers and their contributions, along with a mention of others who facilitated their research.